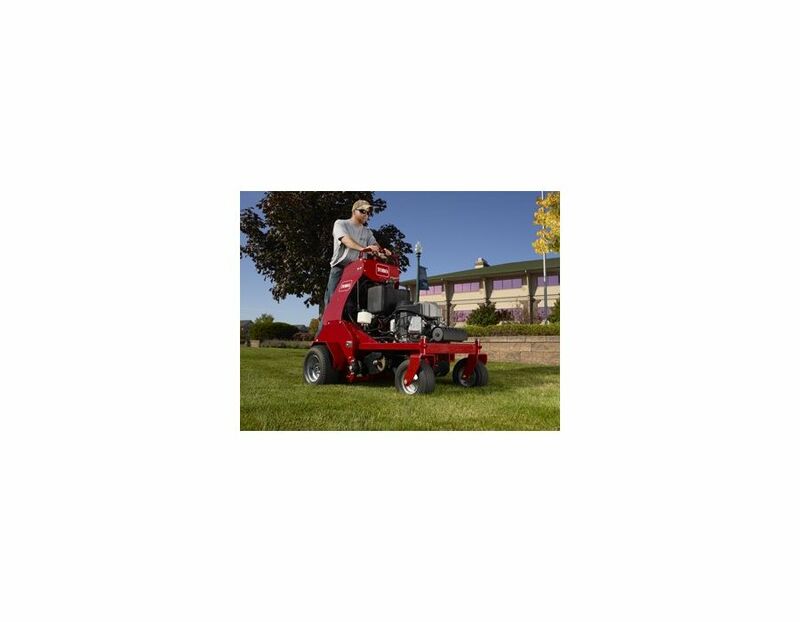 The Toro 39518 30" Stand-on Aerator boasts a powerful Kawasaki V-twin engine with integrated hydraulics that follow the contours of the ground to pull even plugs over hills and soft ground. 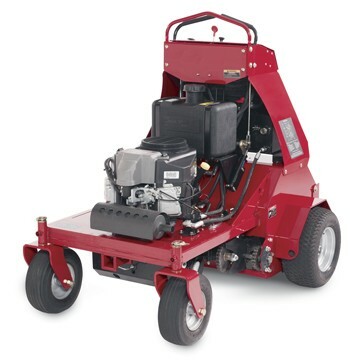 30" aerating width at speeds up to 7.5mph (forwards) & 2.2mph (reverse). 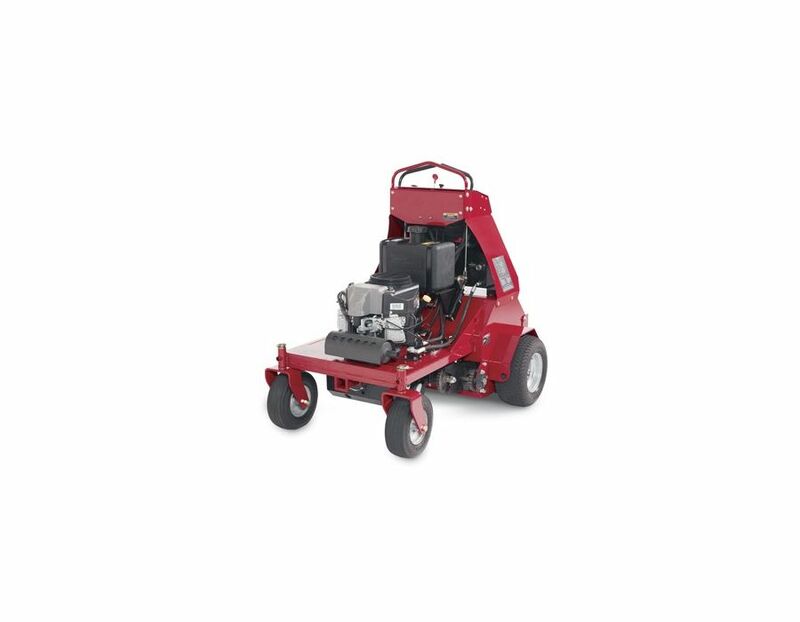 The floating operator platform isolates the operator from vibrations for an exceptionally smooth ride. 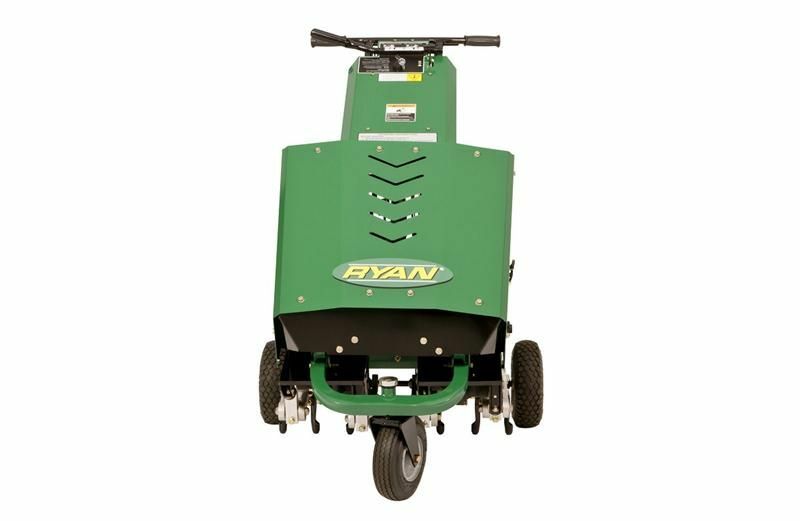 Electronic foot pedal controls allow the operator to raise and lower the tines instantly for quick zero-turn maneuvers without taking their hands off the controls. 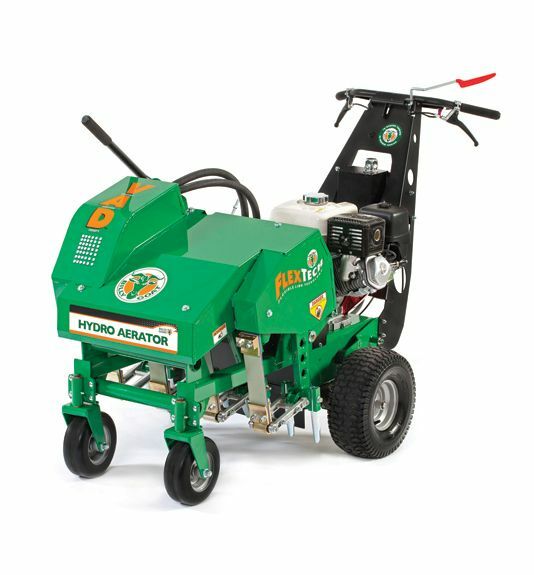 This machine applies up to 1200lbs of down pressure on the tines to pull up to 5" cores and the operators can finely tune the hydraulic system to pull any length of plug on the fly. 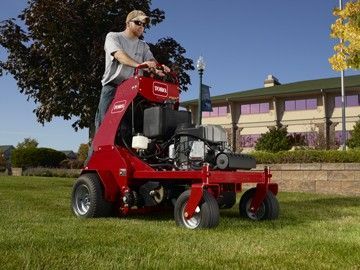 The fuel capacity (5 gallon) extends operating time. Weighs: 1015lbs. 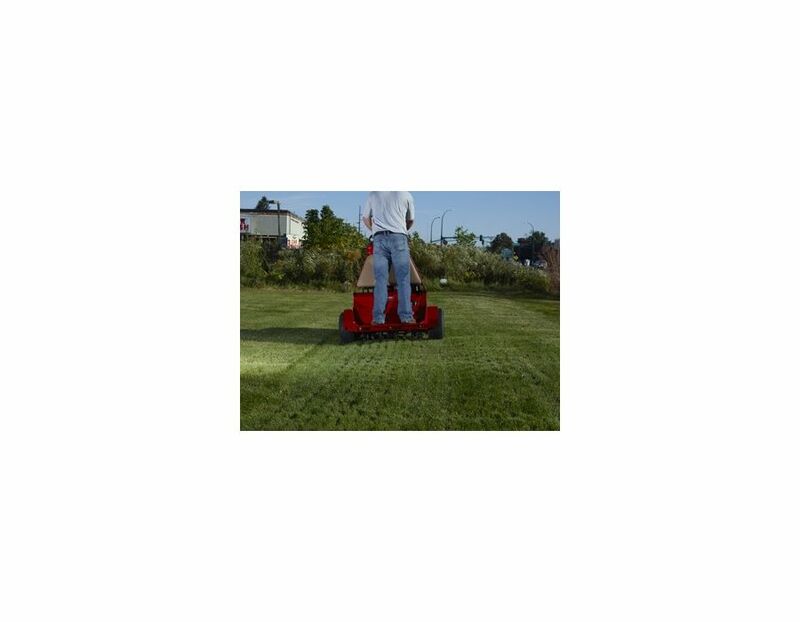 Aerating width: 30" total width: 48". 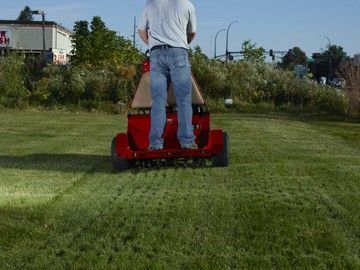 Height: 53", Length: 65". 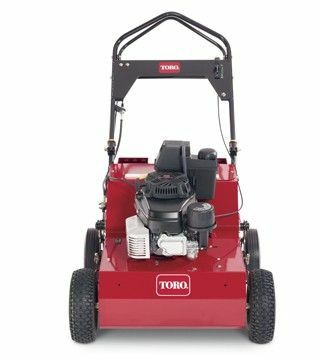 Find this Toro 30" stand-on aerator model 39518 at Kooy Brothers Equipment Ltd. located at 1919 Wilson Avenue in Toronto Ontario.